Huascaran Peru is a comfortable and cosy small property situated in Huaraz. The property is located in a quiet and safe area. Along with dry cleaning, this smoke-free hostal has a 24-hour front desk and tour/ticket assistance. Free continental breakfast and free Wi-Fi in public areas are also provided. 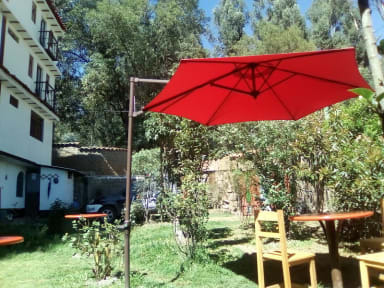 Perfect place to stay for a relaxing stay in Huaraz. The property is well-located, within a 15-minute walk of Jirón José Olaya, Mirador de Retaqeñua, and Monumento Nacional Wilkahuaín. Piscigranja de Truchas and Huaraz Cathedral are also within 15 minutes. The property offers comfortable rooms. All rooms offer free Wi-Fi, TVs with cable channels, and showers. The guesthouse offers a wide range of private and shared accommodations.